Sharp Autocare have been servicing cars in Bibra Lake for over 20 years and our $145 Super Service is by far our best value for money car service offer! We’ll have your car back on the road usually that same day or the next. Our team are dedicated and work hard towards providing the best car, ute & light truck servicing in Perth. We service all types of vehicles, including: Ford, Holden, Honda, Hyundai, Isuzu, Jeep, Kia, Mazda, Mitsubishi, Nissan, Subaru, Suzuki, Toyota, VW, Volvo, BMW plus many others! Our service is personalised, professional and high quality – Read our customer reviews by clicking below. We don’t treat our customers like numbers or give them the run around like many other dealers do. When our customers have a good experience with us, they tend to come back or recommend us to others. It’s a win win situation and a philosophy we take seriously. To book your car in with us call (08) 9434 5533 or talk to us about other car service requirements. 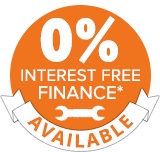 Alternatively you can Get A FREE Quote!